The yellow pine framing members that support these old Sears homes, now nearing the century mark, are harder and denser than most of today’s [so-called] hardwoods. Some of these houses have had only minimal maintenance, yet all these years later, they’re still as square and true and solid as the day they were built. We do not handle hemlock, spruce or inferior types of lumber. The lumber we furnish is fine, dry yellow pine, the strongest lumber for framing. Cypress for outside finish, [cypress] the wood that lasts for centuries; oak, birch or yellow pine, as specified for interior finish. 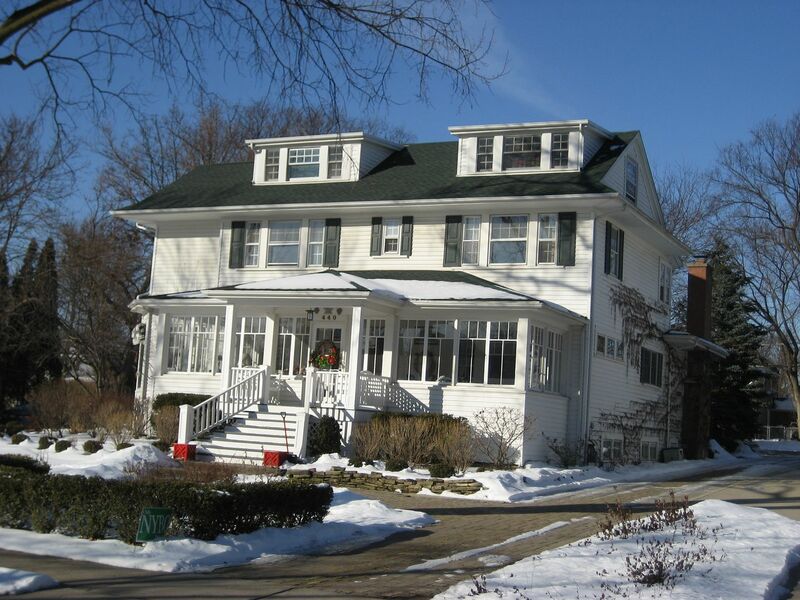 Through the years, Sears offered exterior sidings in red cedar, redwood or cypress. Most frequently, exterior sidings were cypress, and exterior trim pieces (corner boards, door and window trim, eaves, etc.) were also cypress. Interior floors on average-priced Sears homes were typically oak on the first floor; maple in the kitchen and bath; yellow pine on the second floor. In less expensive homes, yellow pine was standard fare throughout the house for trim moldings, floors and doors. However, you could always upgrade to oak floors for another $148. 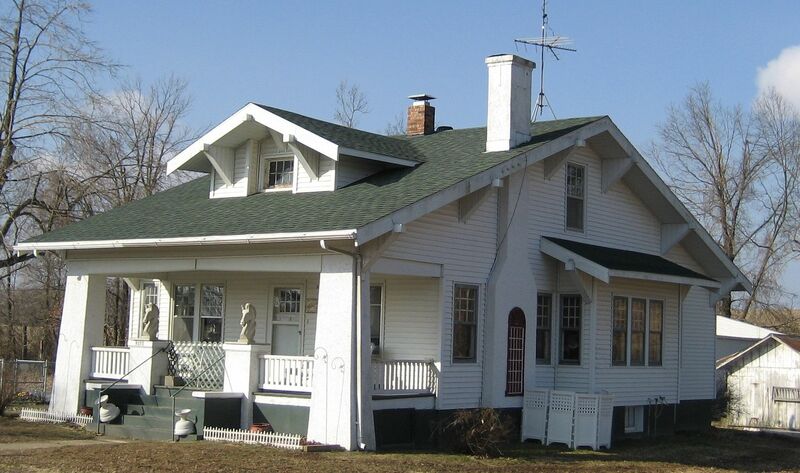 Today, it’s so interesting to contrast and compare modern lumber (think McMansion) with the solid old lumber found in America’s early 20th Century homes. Lumber from the old homes is so dense and hard, that many homeowners report they can not drive a spike into the floor joists without predrilling a hole, lest it bend the spike! We will never see wood like this again in our country. The few “first-growth forests” that remain are protected sanctuaries (as they should be). Large suppliers of lumber boast that - thanks to genetic engineering - they can have a tree ready for harvest after a 25-year growth cycle. The problem is, when trees grow quickly, they’re not very dense. Try this experiment at home. Try driving a nail through a piece of 2×8 from your local big-box hardware store. Then drive the nail through a floor joist in your house - if you can. Such a simple demonstration really will “hammer the point home” (so to speak). At the very least, when an early 1900s home is torn down, the lumber should be salvaged, and not carted off to the landfill. Now let’s go back to looking at pretty pictures of pretty Sears Homes. Enjoy the photos below. Learn more about Sears Homes by click here. Or buy Rose’s book by clicking here. 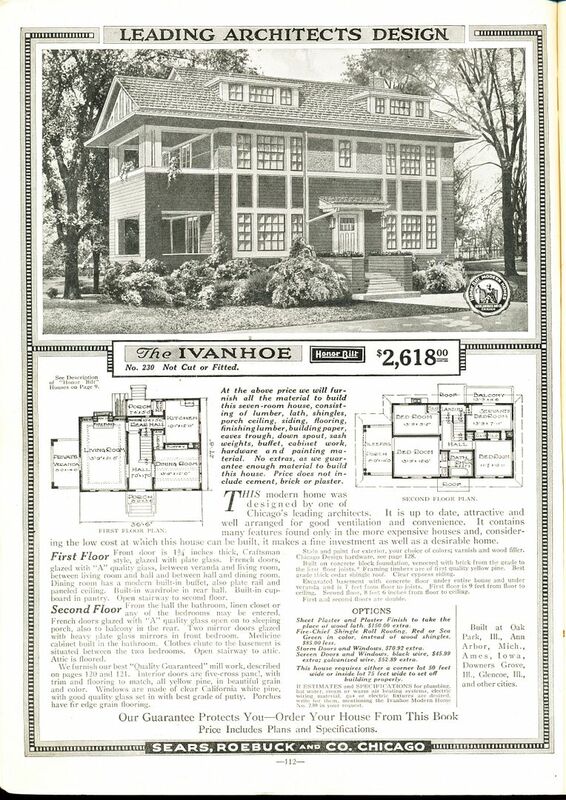 The Sears Ivanhoe was one of their most magnificent homes. 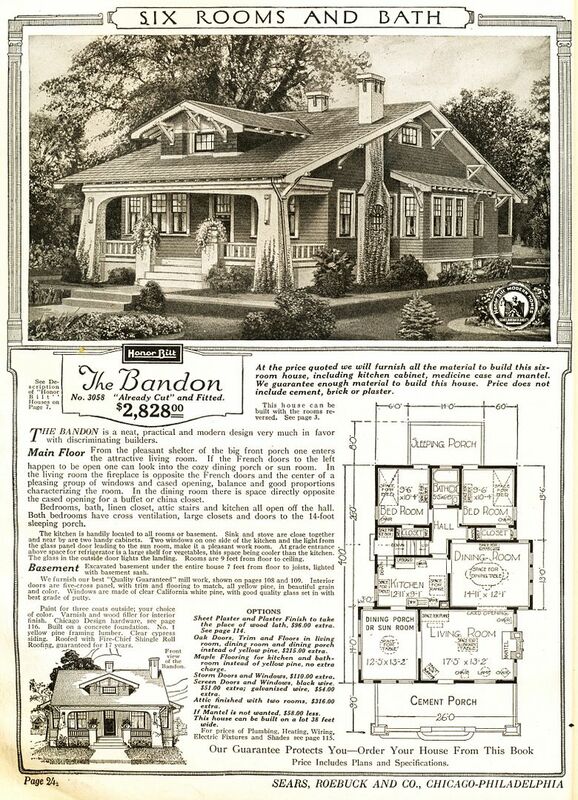 The Bandon was not a popular house for Sears. In all my travels, I've only seen one Sears Bandon, and it was in Pulaski, Illinois - near the large Sears mill in Cairo, IL. Super interesting article. My friends and I deconstruct and salvage lumber from early twentieth century homes in West Virginia (lumber from our virgin forest). We make tables and other products with the wood. We’ve not come across any Sears homes yet in our work, but maybe someday. I’d love to chat sometime. My husband is from West Virginia, so I think highly of that state! The quality of building materials in pre-WW2 homes is just incredible. As I said in the blog above, we’ll never see building materials like that again - unless we *salvage* what we have. ouse and/ or property. Is there anyone that would specialize in this area?